It is that wonderful early autumn time of the year where the Melbourne weather is..perfect..and most things feel pretty good with the world. 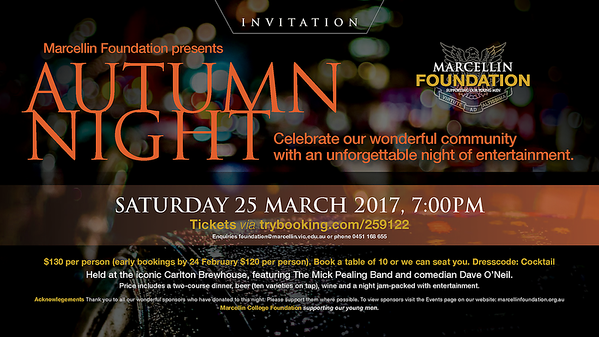 This is why I would like to remind you about our upcoming major Fundraising event, Autumn Night, which we are hosting at the Carlton Brewhouse, cnr Nelson and Thompson Streets Abbotsford on March 25. It is a great oppotunity for members and supporters of ALL the Marcellin Old Collegian Clubs (including the Bald Eagles) to come together to celebrate what a great opportunity the connection with Marcellin gives us. All proceeds from this event will go to the St Marcellin Champagnat Bursary Fund.  The Bursary Fund was establihshed to support those Marcellin families who struggle to find the finanical means to keep thier sons enrolled at the College; often becuase of tragic circumstances. It will be a great night. There will be plenty of laughs with special guest, Dave O’Neil, and the dance floor will be lit up with the legendary Mick Pealing Band. It is also the perfect occasion to celebrate the beautiful time of the year that is, Autumn in Melbourne. Here is the link to the Booking Page. All enquiries to Prue or Lisa during business hours on 0451 168 655 or 9851 1464 or via email.